Former Arsenal and England goalkeeper David Seaman has suggested that Chelsea should swoop for Stoke City goalkeeper Jack Butland if Thibaut Courtois leaves Stamford Bridge this summer. Spanish giants Real Madrid are reportedly looking for a new shot-stopper to replace Keylor Navas as their first-choice goalkeeper next season and Courtois, who won the Golden Glove award at the 2018 World Cup, is reported to be on top of their wish list. Butland may have been part of the Stoke City side that was relegated from the Premier League last season. However, he was the one lone star in an otherwise under-performing side. The 25-year-old made 141 saves in the top-flight last season, which was more than David De Gea of Manchester United, who made 115. Butland’s performances were sufficient to earn him a place in the England World Cup squad where he served as back-up to Jordan Pickford. 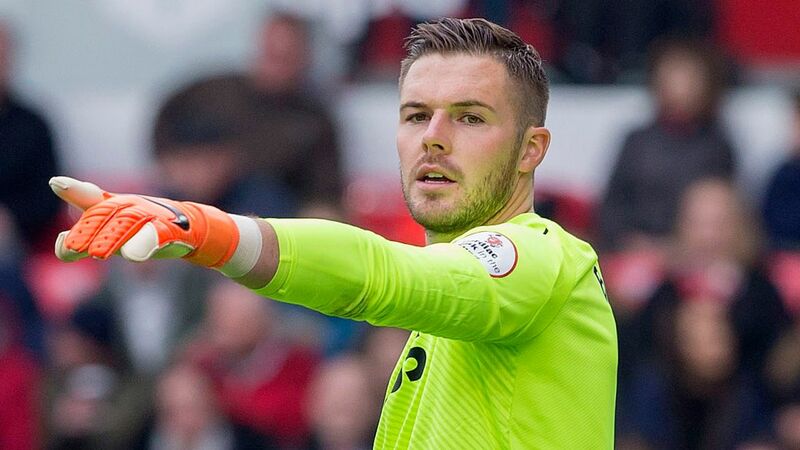 While the Blues have been linked with the likes of Pepe Reina and club legend Petr Cech, Butland could arguably be a better choice as he is younger than the two veterans and will not be expensive as Stoke were relegated from the top flight. It is also almost impossible to see him turning down the chance of first-team football under Maurizio Sarri if he is offered regular first-team action. Seaman believes that Butland would be a good replacement for Courtois if he departs. While speaking on the Alan Brazil Sports Breakfast, he said: “I think it all depends what happens with Courtois. We don’t know for sure if he’s going to go, although it looks like he is. “There’s even talk of Petr Cech going back there, which would surprise me. But someone like Jack Butland I think would be a great fit.